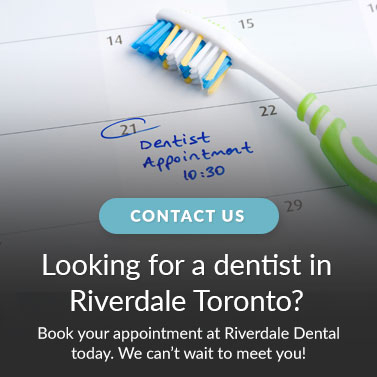 Riverdale Dental in Toronto offers dental bridges - a great dental treatment for patients who need durability, protection, and less invasive improvements to the appearance of their smile. The bridge is held firmly in place by your own teeth on each side of the missing one(s) or by dental implants. It is permanently cemented to the teeth adjacent to the missing tooth or teeth. The bridge is fit to match in size, colour and shape of your natural teeth creating a beautiful smile. Achieving a natural looking and realistic smile after tooth loss is possible with dental bridges!